We aim at the right screening of your website and it doesn’t matter how diversified your website design service needs are. We are best responsive website design agency with team of designing experts who could help you out to get the right version of your responsive website design for different displayable entities and gadgets. Our responsive website design services is schemed and approached thoroughly to offer you with the right response from different display sources. As best responsive website design agency Jasapp develop perfect responsive website designs that falls in conventionality with all web browsers and different devices. Well, in simple words, if you get a responsive website design & development from us then the same website which we developed would be working with all usual browsers and devices. We have experts working on the most up-to-date techniques of responsive website designs to offer you smooth and functional designs. We have best of the industry professionals who are working with us to offer you the ideal mobile version responsive website design. 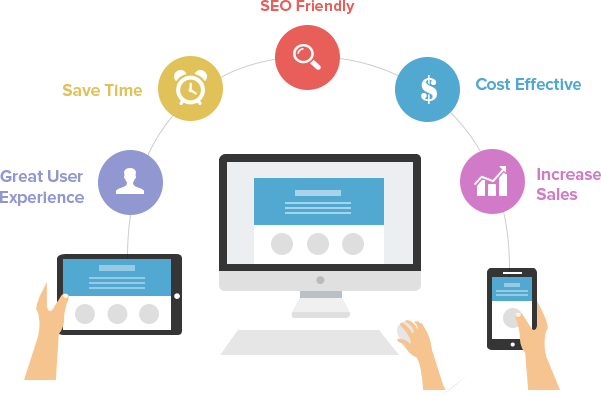 We guarantee you get the right design elements, templates, navigational properties, layout scheme and functional components on the UI offering greatest results in website communication. A website related to any belonging to any audience needs to provide all the computers gadgets and mobile devices invariably. It needs to be accessible on all the machines and be compatible with all screens. Thus, need to be responsive website design. Among all responsive website design agency Jasapp is a team of responsive website designers specializing in award winning responsive website design services. The practice consists of a mix of flexible grids and layouts, images and an intelligent use of CSS media queries. As the user switches from their laptop to iPad, the website should automatically switch to accommodate for resolution, image size and scripting abilities, that why responsive web development services is required for website.